A new edition of Bella Bathurst's epic story of Robert Louis Stevenson's ancestors and the building of the Scottish coastal lighthouses, against impossible odds. An exciting new edition of Bella Bathurst's epic story of Robert Louis Stevenson's ancestors and the building of the Scottish coastal lighthouses against impossible odds. 'Whenever I smell salt water, I know that I am not far from one of the works of my ancestors,' wrote Robert Louis Stevenson in 1880. 'When the lights come out at sundown along the shores of Scotland, I am proud to think they burn more brightly for the genius of my father!' Robert Louis Stevenson was the most famous of the Stevensons, but not by any means the most productive. The Lighthouse Stevensons, all four generations of them, built every lighthouse round Scotland, were responsible for a slew of inventions in both construction and optics, and achieved feats of engineering in conditions that would be forbidding even today. The same driven energy which Robert Louis Stevenson put into writing, his ancestors put into lighting the darkness of the seas. 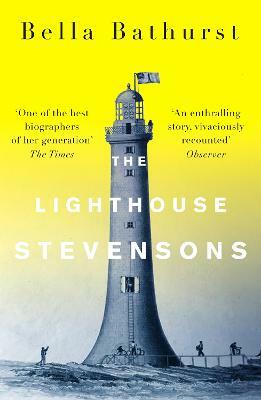 The Lighthouse Stevensons is a story of high endeavour, beautifully told; indeed, this was one of the most celebrated works of historical biography in recent memory. 'My own interest in the Lighthouse Stevensons is threefold. Firstly, from the writings of Robert Louis Stevenson, who turned his family's trade into the raw gold of all his best fiction. Secondly, from various trips around Scotland. The country's coast is a mass of storm-beaten rocks and treacherous headlands on which even the seagulls have trouble landing. It is impossible not to speculate what combination of courage and skill built the lighthouses around such an environment. And thirdly, because somewhere in there, unrecognised and unsung, is the most wonderful story!'. Bella Bathurst is a freelance journalist. She has written for the Observer, Telegraph, Sunday Telegraph, Independent on Sunday, Guardian, Scotsman and Scotland on Sunday.